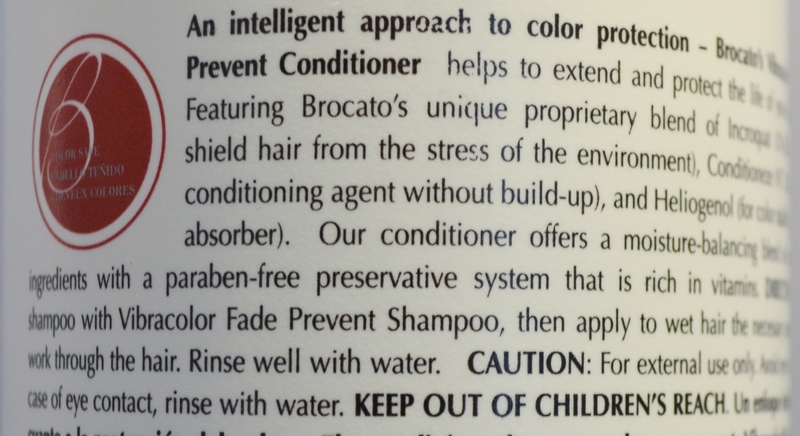 An intelligent approach to color protection - Brocato's Vibracolor Fade Prevent Conditioner helps to extend and protect the life of your hair color. Featuring Brocato's unique proprietary blend of Incroquat UV-283 (it will shield hair from the stress of the environment), Conditioneze NT 20 (superior conditioning agent without build-up), and Heliogenol (for color stability and UV absorber). Our conditioner offers a moisture-balancing blend of nourishing ingredients with a parabend-free preservative system that is rich in vitamins.